Four More Statements From NRC Region IV Augmented Inspection Team (AIT) That Require A Nuclear Reactor Regulation (NRR) Investigation And Resolution. The DAB Safety Team Has Transmitted The Following Request To The Offices Of Chairman Of The NRC, The California Attorney General and Senator Barbara Boxer’s Committee on Environment and Public Works (EPW). replacement steam generator or related to the tube-to-tube wear. The licensee (SCE) is considering additional sensor locations which are not required, but may help with monitoring the upper bundle region of the steam generator during power operation. The results of this additional monitoring and increased sensor sensitivity may provide the licensee with a potential means to monitor for tube-to-tube degradation.” (See Page 14 for the limitations of this improved version of V&LPM system related to NO detection capability of tube-tube wear as claimed by AIT Team and SCE and questioned by NRR below). According to the December 18, 2012 SCE NRC Public meeting Press and Webcast Reports, Edison officials came under sharp questioning about the Vibration and Loose Parts Monitoring System monitors at a U.S. Nuclear Regulatory Commission panel meeting in Maryland. Richard Stattel of the NRC’s Nuclear Reactor Regulation (NRR) Instrumentation Branch told the Edison Officials in a roaring and loud voice on an international live web cast, “The equipment could not do the job described by the company or provide additional safety if the plant is restarted. The instrumentation that you're proposing ... does not appear to be capable of detecting the conditions that would lead to actual tube wear." Edison depicted the equipment in its restart plan as an important safety measure "but it doesn't appear to do that.” See the DAB Safety Team’s Press Release + 12-12-28 Thirty Alarms Demonstrates SONGS Unsafe for details on this subject. DAB Safety Team Comments: The NRR is saying loud and clear that both NRC AIT and SCE Engineers need to understand the basic functions of “Safety-Grade” Instrumentation and the concept of “tube-to-tube” wear (Fluid Elastic Instability). Since there are no means of monitoring tube wall thinning while the plant is in service, the risk of tube burst is wholly dependent upon the accuracy and reliability of SCE’s “Safety-Grade” Instrumentation. The DAB Safety Team has stated earlier that NRC AIT Report is just a replication of SCE Root Cause Evaluation and not a true assessment by an Independent Regulator tasked with ensuring Public Safety. On December 21, 2012, the US Nuclear Regulatory Commission (NRC) blog posted a letter from Chairman Macfarlane titled, “A Visit to Japan: Reflections from the Chairman.” She said, “Regulators may need to be “buffered” from political winds, but they need to be fully subjected to the pressure of scientific and engineering truth and cannot be allowed to make decisions or order actions that are “independent” of facts.” According to the March 16, 2012 Press reports, Senators Barbara Boxer (D-CA), Chairman of the Senate Environment and Public Works Committee (EPW), and Dianne Feinstein (D-CA) sent a letter to the Chairman of the Nuclear Regulatory Commission (NRC), Dr. Gregory Jaczko, calling on the NRC to perform a thorough inspection at the San Onofre plant, located in San Clemente. The collusion and casual relationship between NRC AIT Team and SCE requires an Investigation by the Offices of NRC Chairman and Senator Barbara Boxer to determine the impact on both future US reactor operations and emergency preparedness planning. This investigation by the AIT does not meet the NRC Chairman’s Standards. DAB Safety Team Comments: Let us summarize what John Large and Westinghouse are saying: (1) Plugging of the at-risk tubes is not a satisfactory solution because it is the retainer bar that vibrates via random fluid flow processes at sub FEI critical velocity levels - these are likely to continue to vibrate or, indeed, exacerbate at the proposed U2 restart at 70% power, leading to through-tube abrasion, the detachment of tube fragments, lodging at other unplugged and/or in-service tube localities, resulting in the so-called ‘foreign object’ tube wear, (2) For most of the straight leg section of the tube, the gap velocities at lower power levels and at 100% power are similar. Therefore, even at 70% power, the tube-to-retainer bar wear will continue at the same rate as 100% power and plugging the tubes is not a satisfactory solution in terms of reducing the active tubes rupture safety risks. SCE is not stating the facts either in its Root Cause Evaluation nor in its NRC Presentation. Two better questions are, “How many tubes in Unit 2 have what amounts of fatigue cracks and why has SCE not used state-of-the-art technology to visually examine all RSG tubes at San Onofre?” What this really means is that Southern Californians were lucky once again, that Unit 2 just happened to be shutdown for refueling! Otherwise, one or more worn tubes could have leaked or failed due to a design bases accident and/or any unanticipated transients. Almost 180 tubes had to be plugged and stabilized in Unit 2 Replacement Steam Generators due to retainer bar design mistakes. In addition, no reports are available to determine the extent of tube fatigue damage or damage to the small retainer bars caused by the worn tubes and whether the damaged retaining bars are strong enough to restrain the movement of the anti-vibration bar assembly during a main steam line break design basis event (Ref: NRR RAI #32). The design of the retainer bars approved by SCE and manufactured by MHI clearly violated the Code of Federal Regulations, 10 CFR Part 50, GDC 14, “RCPB—shall have “an extremely low probability of abnormal leakage…and gross rupture” and Appendix B, Criterion III, “Design Control.” The DAB Safety Team’s opinion is that NRC AIT is treating the retainer bar mistakes and its design approval by SCE just as a routine matter like “No big deal, nothing happened, so who cares” instead of performing the strict enforcement required of an Independent Regulator tasked with ensuring Public Safety. This investigation by the AIT does not meet the NRC Chairman’s Standards. DAB Safety Team Comments: After the June 18, 2012 public Meeting, the NRC AIT Team Chief announced to the world, "The computer simulation used by Mitsubishi during the design of the steam generators had under-predicted velocities of steam and water inside the steam generators by factors of three to four times." Now, six months later, the AIT Team is saying the matter is unresolved. The AIT Team is just repeating what SCE says or is not sure what they said four months ago. ATHOS Modeling results are not reliable, because the results by NRC AIT Team, Westinghouse, MHI, AREVA and Independent Experts show that fluid elastic instability occurred both in Units 3 and 2. The investigations in the Root cause of SONGS Unit 3 FEI regarding computer modeling have not been completed by NRC AIT Team, SCE and MHI. FEI did not occur in Unit 2 according to DAB Safety Team and Westinghouse. As also shown in other DAB Safety Team reports, FEI was not caused in Unit 3 by tube-to AVB gaps as claimed by NRC AIT Team and SCE. This is consistent with the findings of Westinghouse, AREVA, MHI, John Large and SONGS Anonymous Insiders. The AIT Team is hurting its own credibility by issuing contradicting and conflicting statements. This investigation by the AIT does not meet the NRC Chairman’s Standards. 4. NRC AIT report dated November 11, 2012 (Re: Unresolved Item 05000362/2012007-10, “Evaluation of Departure of Methods of Evaluation for 10 CFR 50.59 Processes”) closed the referenced item by stating: (a) The change from ANSYS to ABAQUS did not require a license amendment prior to implementing the change, so with respect to section 2.10.D.6 of the NRC Enforcement Manual, there is no reasonable likelihood that the change from ANSYS to ABAQUS would ever require NRC approval. Therefore, in accordance with the NRC Enforcement Manual, the inspectors determined that the licensee’s change from ANSYS to ABAQUS was a minor violation of 10 CFR 50.59(d)(1), and (b)n Based on this, the inspectors determined that the licensee had changed from using ANSYS and STRUDL to analyze several events for the original steam generators, to using only ANSYS to analyze a single limiting event for the replacement steam generators. Therefore, because the licensee did not change the method described in the Updated Final Safety Analysis Report, the inspectors concluded that the licensee did not need to obtain a license amendment prior to implementing that change. In the original Report in July 2012, the NRR technical specialist reviewed SCE’s 10 CFR 50.59 evaluation and found two instances that failed to adequately address whether the change involved a departure of the method of evaluation described in the updated final safety analysis report: (a) Use of ABAQUS instead of ANSYS: The SCE’s 50.59 evaluation incorrectly determined that using the ABAQUS instead of ANSYS was a change to an element of the method described in the updated final safety analysis report did not constitute changing from a method described in the updated final safety analysis report to another method, and as such, did not mention whether ABAQUS has been approved by the NRC for this application. (b) Use of ANSYS instead of STRUDL and ANSYS: While SCE’s 50.59 evaluation correctly considered this a change from a method described in the FSAR to another method, the 50.59 evaluation did not mention whether the method has been approved by NRC for this application. NRC AIT Report states, “For the Unit 2 and Unit 3 replacement steam generators, the licensee determined that the proposed activity did not adversely affect a design function, or the method of performing or controlling a design function described in the updated final safety analysis report. The licensee evaluated the following updated final safety analysis report design functions in the 50.59 screening: Steam Generator Design Functions. Let us examine the effect of these changes on Steam Generator Design Functions: The design functions of the steam generators tubes and tube supports are to: (1.) Limit tube flow-induced vibration to acceptable levels during normal operating conditions, and (2) Prevent a tube rupture concurrent with other accidents. Change Number 1: 105,000 square feet tube heat transfer area in OSGs; 116,100 square feet tube heat transfer area in RSGs; 11.1% increase in heat transfer area, which is more than a minimal change of 10% in the non-conservative direction. Change accomplished by addition of 377 tubes in the central region by removal of stay cylinder and increasing the length of 9727 tubes by > 7 inches in each of the four RSGs. Change Number 2: Operating Secondary Pressure – OSGs: 900 psi, RSG: 833 psi ~ 10% change – A catastrophic change for onset and ongoing exponential fluid elastic instability. Change Number 3: Tube wall thickness was reduced from 0.048 inches to 0.043 to pump more reactor coolant through the tubes > 11.6% change. The latest academic research indicates that the tube vibrations become large as T/D decreases and L/D increases, because the in-plane tube vibrations strongly depend on the dynamic characteristics of tubes such as the natural frequency and the damping ability. Four other changes: Moisture content was reduced from 0.2% to 0.1% to improve SG performance, RCS Volume was increased from 1895 cubic feet to 2003 cubic feet, RCS Flow was increased from 198,000 gpm to 209,000 gpm, feedwater flow was increased from 7.4 million pound per hour to 7.6 million pound per hour and AVBs were not designed to prevent against adverse effects of fluid elastic instability (In-plane vibrations, Tube-to-Tube wear, steam dry-outs). These unapproved and unanalyzed changes were claimed to be a conservative decision and improvements in the RSGs from OSGs were presented as a "like for Like" change. No mixing baffles were added in the SONGS RSGs to improve the T/H Performance in the RSGs. FEI and SR Values were not provided by SCE in the RSG Design Specifications. SCE told MHI to avoid the NRC Approval… MHI neither provided in-plane supports, nor provided the operational criteria to prevent FEI in one of the largest steam generators with such high steam flows. MHI did not benchmark CE SG Computer codes or design details, neither did SCE, nor did SCE check the work of MHI. And Dr. McFarlane says, “SCE is responsible for the work of its vendors and contractors. Look at Palo Verde RSGs, a Success Story and SONGS RSGs, a $ Billion Blunder…. For complete list of changes, as identified by Arnie Gundersen and the DAB Safety Team see The Big #1 Attachment. DAB Safety Team Comments: Therefore, the DAB Safety Team concludes that the changes in design functions of the RSGs tubes and tube supports described above definitely: a) did not limit tube flow-induced vibration to acceptable levels during normal operating conditions and, b) involved a significant reduction in a margin of safety – Failure of 8 Unit 3 SG Tubes under MSLB test conditions and significant TTW > 35% of ~381 tubes in Unit 3 RSGs. A multiple tube failure event, if actually would have occurred during a MSLB would have resulted in a significant increase in the off-site radiological consequences over the single tube burst event, if currently considered in the SONGS approved FSAR by NRC Region IV. The Replacement Steam Generator (RSG) modifications at San Onofre increased both the likelihood of equipment failure and the radiological consequence of such failure and therefore directly affect the FSAR Current Design Basis. The AIT has no business contradicting conclusions made earlier by the NRR technical specialist. This investigation by the AIT does not meet the NRC Chairman’s Standards. DAB Safety Team Comments: NRC Region IV Inspectors need to be re-trained in interpretation of significance of 10 CFR 50.59 Evaluation rules and meaning of changes in design function on safety evaluations. Simply sweeping the 10 CFR 50.59 mistakes under the carpet on the basis of meaningless statements, “The NRC has already conducted several reviews of the 10 CFR 50.59 documents associated with the replacement of the steam generators at SONGS. The present SONGS NRC approved for the total S/G tube leakage assumes a limit of 1 gpm for all S/Gs, which ensures that the dosage contribution from the tube leakage will be limited to a small fraction of 10CFR100 limits in the event of either a S/G tube rupture or steam line break. The 1 gpm limit is consistent with the assumptions used in the analysis of these accidents. The 0.5 gpm (720 gpd) leakage limit per S/G ensures that S/G tube integrity is maintained in the event of a main steam line rupture or under LOCA conditions.” These reviews of 10 CFR 50.59 and SONGS FSAR S/G tube rupture limits from NRC inspectors from multiple offices including Region IV, Region II and the Office of Nuclear Reactor Regulation at NRC headquarters” are not only disingenuous but foolhardy. A single tube leakage and/or rupture could result in a nuclear incident or accident with tube leakages assumed in the current SONGS FSAR as shown in the Table below. 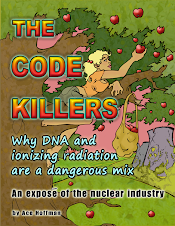 A multiple tube failure event for all phases of the reactor in-core fuel cycle, would result in a significant increase in the off-site radiological consequences (e.g., Fukushima, Chernobyl, etc.) over the single tube burst event currently considered in the FSAR. The rapid and extraordinarily severe wear that resulted in the 2012 failures of all of Edison’s San Onofre Replacement Steam Generators was the result of Edison’s 2005 decision to radically change the RSG design and to claim that the Part 50.59 licensing process did not apply. Arnie Gundersen and DAB Safety Team have stated consistently that San Onofre Replacement Steam Generator tube damage discovered in 2012 was so severe and extensive that both reactors have been operating in violation of their NRC FSAR license design basis as defined in their Technical Specifications. While the NRC Augmented Inspection Team (AIT) briefly described how Edison addressed its 50.59 requirements, the evidence shows that Edison did not comply with the NEI guidelines for implementing 50.59. Published reports indicate that the strategic decision made by Edison that the 50.59 process would not be applied to the RSGs was made by corporate officials before any engineering personnel had actually performed the 50.59 engineering analysis. Consequently, Edison made a management decision to claim that the 50.59 process did not apply and therefore San Onofre was not required to seek NRC approval for the proposed changes at San Onofre Units 2 and 3. These unlicensed unapproved design changes to the containment boundary violated Federal Regulations and therefore the FSAR must be amended prior Unit 2 Restart to reflect multiple steam generator tube ruptures with MSLB plus DBE due to Edison’s significant untested and unanalyzed modifications. · SR: The specific mechanism for the flow-induced vibration has been determined to be a fluid-elastic instability. The fluid-elastic mechanism has a significant effect on tube response in cases where the fluid-elastic stability ratio equals or exceeds 1.0. The stability ratio, SR, is defined as: SR = V eff / V c, where V eff is the effective cross-flow velocity and V c is the critical velocity beyond which the displacement response to the tube increases rapidly. · V&LPM: The Vibration and Loose Parts Monitor - consists of Vibration and Loose Parts Channels. Each system consists of piezoelectric sensors, preamplifiers, a signal processor unit and other peripheral equipment. The vibration and loose parts monitoring system is designed to provide continuous monitoring and conditioning of loose parts accelerometer signals. Two separate accelerometers are installed on each of the steam generators. The location of these instruments are on the steam generators’ lower supporting structures and provide acoustic information about loose parts impacts specifically on the reactor coolant or primary side of the steam generators. The vibration and loose parts monitoring system real time functions consist mainly of impact alarm validation of suspected loose part events and recording acoustic data. The improved Westinghouse DMIMS-DX™ systems are installed at Millstone 3, Krsko, Diablo Canyon 1 & 2, Wolf Creek, and Beaver Valley 1, which are all Westinghouse NSSS plants, and at Crystal River 3, which is a B&W plant. DMIMS-DX™ provides fast, reliable detection of loose part impacts within the Reactor Coolant System (RCS), while minimizing the generation of false alarms. This monitoring system is a greatly enhanced version of the previous Westinghouse DMIMS system, employing the latest digital technology and offering significant operational advantages to our customers. Loose parts monitoring is based on listening for the impact of loose parts against fixed components within the primary system as they are propelled by the coolant flow. This application appears simple on the surface, but its effective implementation is not an easy task. The noises typical of an operating plant can generate false alarms that reduce operator confidence, interfere with normal operations, and cause unnecessary expense. The Westinghouse DMIMS System uses a patented algorithm to determine the metallic characteristics typical of loose parts. This algorithm and the associated alarm algorithms, together, minimize the generation of false alarms and have established a reputation for reliability within the industry.